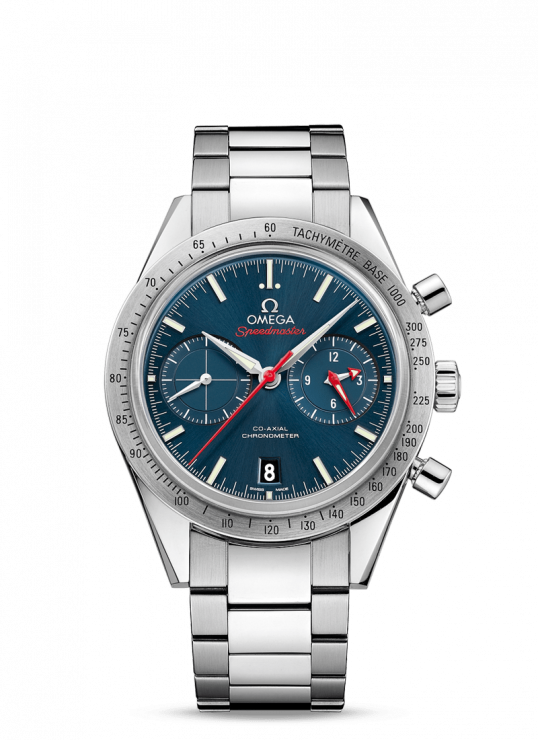 The Speedmaster collection, retaining the look and heritage of OMEGA’S most famous chronograph, but crafted with size colour and simplicity in mind. 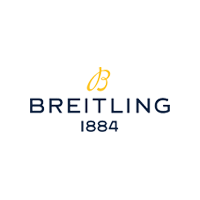 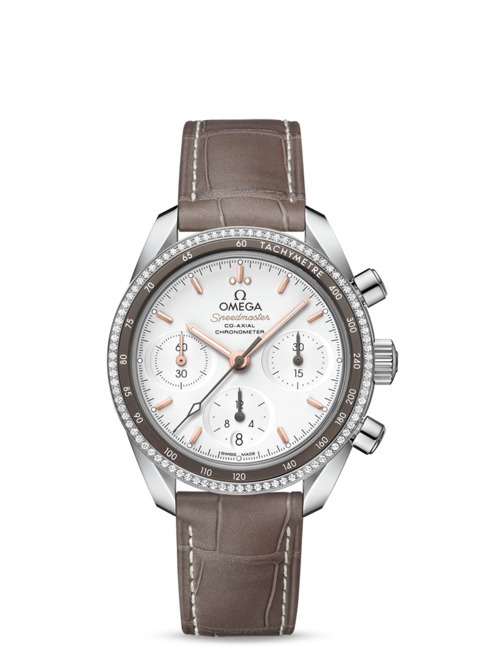 This 38mm model features a duel bezel deign, the inner section features a tachymeter scale on a grey aluminium ring, while the outside is paved with eye catching diamonds. The hands of this watch are crafted in 18K Sedna™ gold or grey. 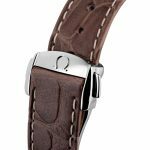 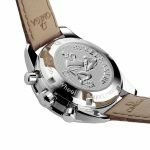 Presented on a taupe-brown leather strap, a seahorse medallion on the caseback and powered by the OMEGA Co-Axial Calibre 3300. 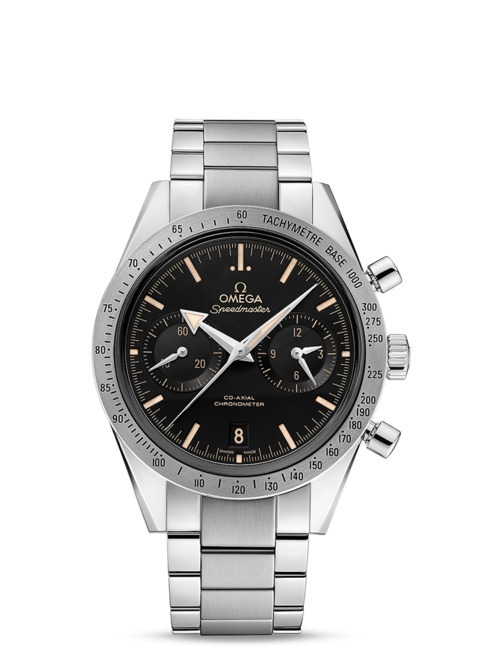 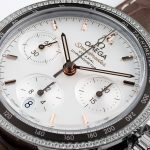 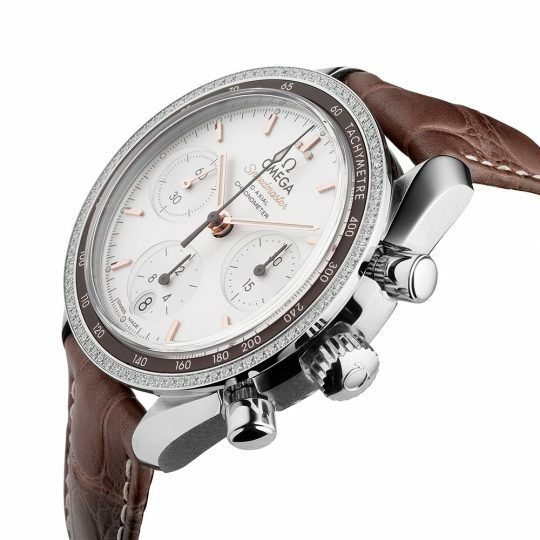 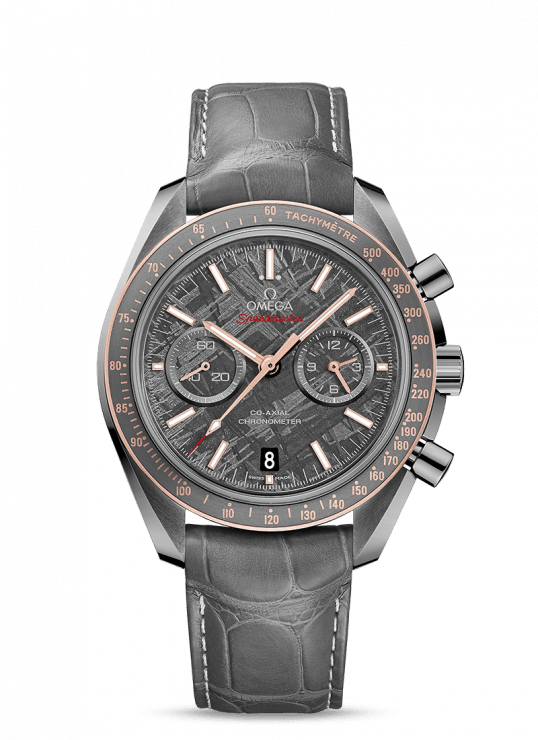 Omega Speedmaster 38mm Stainless Steel Watch has been successfully added to your shopping bag.